FIFA 19 is finally out, and EA just released the first patch for the game, fixing some targeted issues regarding AI and Traits. The patches are only on the PC version for now, but will be coming to PS4 and Xbox One soon. EA says that initial changes to gameplay will be targeted, at least in the beginning stages of FIFA 19's launch. This is so that FIFA 19 maintains a consistent balance. With that in mind, the first gameplay fixes to FIFA 19 includes an animation fix that incorrectly showed lace shots being done via side kicks from outside of the box. Second is a fix in online matches where the power bar incorrectly showed 100 percent shot power when players wanted less. EA also made some changes to Traits, which are unique tendencies that can affect players on-and-off the pitch and makes them more unique and similar to their real-life counterparts. Here, EA changed it so that Traits that no longer functioned were removed, and Traits that gained functions were added to the Front End. Traits that affect CPU AI-controlled players only was also added and only for players that are controlled by CPU AI. Those includes CPU-controlled characters on a team with no human players, or on a team where the human player is locked to specific players such as Pro Clubs team with less than 11 human players and no "ANY" player option. CPU AI-controlled players don't exist on teams with human players that aren't locked to specific players like in FUT Champions. 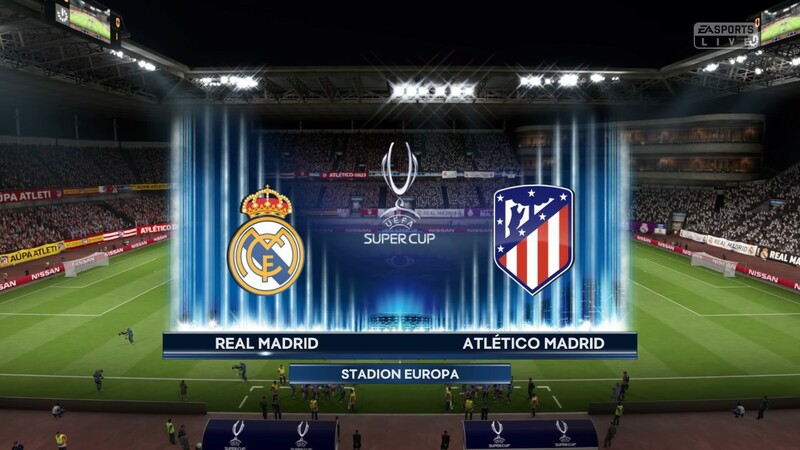 An authentic UEFA Super Cup overlay package was added to the game as well, which you can see below. FIFA 19 UEFA overlay in the new patch. For more on the latest FIFA check out our FIFA 19 guide for the latest walkthroughs and tips or check out our FIFA 19 FUT guide if you're an Ultimate Teams player. You can also read our FIFA 19 review for our take on EA's newest soccer sim. Tagged with EA Sports,	Electronic Arts,	fifa,	News,	patch,	Sports.